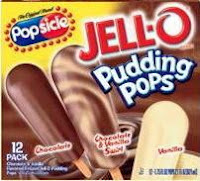 Pudding Pops? Marathon candy bars? Koogle? Lip Lickers? Schoolhouse Rock? Time for Timer? Choco-Diles? Shakey's Pizza? Hugo, Man of a Thousand Faces? If your nostalgia bells are going off, this blog, and our upcoming book, are for you. The baby boomers were louder, the millennials will be richer. Who cares? For a supposedly fractured generation, we kids of the 1970s and 1980s share a far more universal past than kids today. We all watched the same five channels, shopped at the same few chain stores, hummed the same commercial jingles. We may not remember the Moon Landing, but we remember Moon Boots. The Mystery Date board game didn’t seem sexist, and exploding Pop Rocks were the epitome of candy science. Here's our question, then: What happened to all our STUFF? You may know Gael Fashingbauer Cooper from Pop Culture Junk Mail and her other pop-culture writings. Brian Bellmont is an award-winning writer and pop-culture junkie. We're putting our retro memories together into a book, Whatever Happened to Pudding Pops? The Lost Toys, Tastes, & Trends of the '70s & '80s, which is set to come out Summer 2011 from Penguin Books' Perigee imprint. But in the meantime, we're blogging memories and newsy bits about the things of our past right here. We'll even occasionally offer up a sneak preview from the book. No less a Gen-X prophet than Ferris Bueller himself famously declared “Life moves pretty fast. If you don’t stop and look around once in a while, you could miss it.” As we move through life, it’s easy to forget the items we’re leaving behind on the trash heap of history. Our goal, with both the blog and book, is to give you that chance to stop and look around, to bring you back to your childhood, even if just for a few minutes, and help you remember the tastes, the smells, and the sounds that made you who you are today. Stop back often for our take on the lost toys, tastes and trends of the 70s and 80s; news and commentary about Gen-X stuff; and to join in the conversation by weighing in with your own comments and memories. Follow us on Twitter to get notifications of new posts. So flip up the collar of that polo shirt and dig in. We’re off on a guided tour through a childhood of lost memories, back to the days when MTV played music videos and Quisp and Quake duked it out for cereal supremacy. Memories are made of this.